However, gutters are quite susceptible to clogging due to leaves, twigs and other debris. The build-up of stagnant water also causes mold and mildew. In this first installment of a two-part blog, Chase Roofing LLC explains how gutters can affect your roofing system. The first casualty in instances of clogged gutter water seepage are your home’s wooden components. Excessive moisture can damage your roof sheathing and rafters. Water intrusion will decay and weaken your roof’s foundation leading to its collapse. The visual effects will also ruin your home’s overall appeal. Clogging causes water to overflow from your gutters rather than to the downspouts. If left unchecked, water can seep through gaps in your roofing system and lead to damaging roof leaks. Clogs and water pools in your gutters also cause ice dam formation during winter. Poor attic insulation allows heat from the attic to melt the snow on your roof. This melted snow then flows down towards your gutters, where it re-freezes. Water pools in your gutters can also form an ice dam. The constant melting and refreezing can clog your gutters and damage your roof in the long run. Chase Roofing, LLC can insulate your attic well and keep your gutters in good shape for any weather. 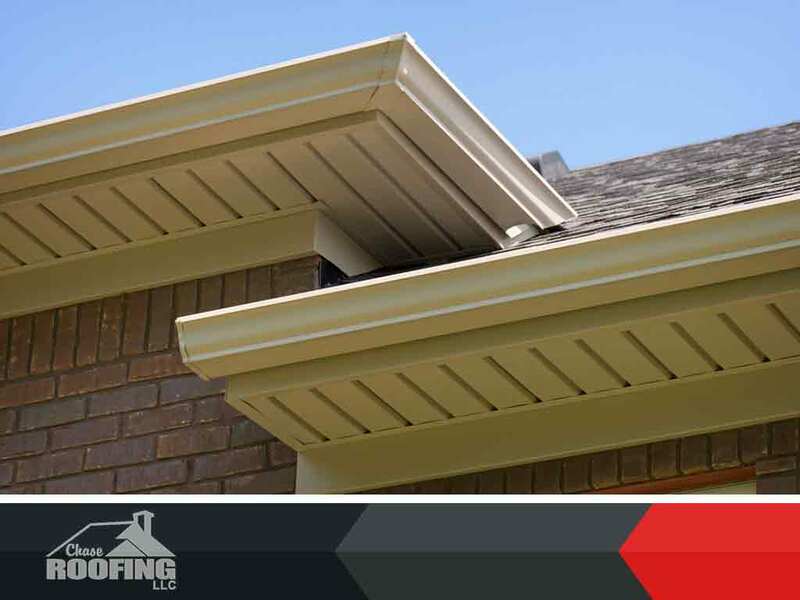 In the conclusion of this two-part blog, we will be discussing some maintenance tips to help you protect your gutters from the ill effects of the elements. Chase Roofing can help you with our gutter installation, repair, and replacement services. We’ll find and fix your clogged gutter problems before they do any damage. As the area’s most trusted roofer, we can handle any kind of roofing problem and replace your roof if need be. Chase Roofing LLC is your trusted roofing company. We serve Yorktown, VA, as well as other nearby areas. Give us a call at (757) 333-0052 for consultation and a free estimate.